So you survived nursing school, and you only lost your sanity, like, two or three times throughout the process. Fabulous—you’re already showing the makings of a good nurse. But, first, you need to properly celebrate having graduated. Oh—you’re too tired, you say? Nonsense. Any seasoned nurse will tell you that you don’t even know what tired is yet. Besides, your first foray into the nursing world deserves a little commemoration. Now, instead of worrying about your exam scores, you get to worry about whether or not you’ve just doubled your patient’s dosage (please—contain your excitement). Anyway, since we know you were too busy, you know, learning ‘n’ stuff to really plot out your post-graduation debauchery, we were kind enough to do it for you. And because we know options are important, we’re handing you five. 1. Throw a “guys, I’m still alive” party. Or, better yet, subtly remind an easily manipulated loved one that you’re on the verge of graduation. Do this daily or until you’re pretty sure that they’ll host a surprise (ha!) party for you. Now, a party will be great fun and all, but the point of it is really just to spare you from having to return all those calls and texts you’ve been ignoring for the past two to four years. Think about it—all those people in one place at one time to discover that you’re alive and well. It’s called efficiency, and it’s a beautiful thing. You’re probably wondering why, and that’s understandable. So allow us to explain. To spare yourself from the onslaught, you’re going to want to own that shirt. It’s not 100 percent effective, but it will throw off at least a third of the people in your life—like that loud, distant aunt. You see, if they’re not trying to draw attention to the fact that they can hardly remember your name and age, they’ll probably take the faux lawyer hint and run with it. 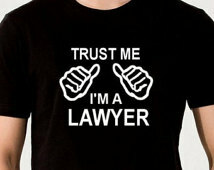 Of course, if they come to you for legal advice, we can’t help you. 3. Hit the open road. Plan a road trip across as many states as it takes you to catch up on your sleep. Pro tip: Make sure the friend you’ve convinced to come with you (aka drive) doesn’t see you enter the car with your pillow. If you must, wear your sweats under something that screams “carefree fun” until you hit the 100-mile mark. 4. Get in the loop. You can’t remember the last time you had a conversation with a non-nursing student friend that you actually understood—so much has changed since you first hit the books and pushed “pause” on existing in the outside world. You’ve never heard any of the songs on Now That’s What I Call Music! CDs #47 to 88, you just saw Fifty Shades of Grey and, last time you checked, Kendall Jenner was still an awkward, prepubescent teenager. We recommend you treat yourself to a hefty helping of celebrity gossip magazines, sleep, a shower, a meal to the sound of Taylor Swift/CNN and then maybe spend two days hangin’ out at your local movie theater. Otherwise, prepare to feel like an alien when you dip into “the outside world” for a temporary visit. 5. Try that one thing called “happy hour” outside of your home. Look, we don’t care if you bring your own bottle of wine—just make sure you’re drinking in the presence of company that you do not regularly bathe and feed. One more piece of advice: You may want to first revisit the social scene at a local dive bar as opposed to a nightclub—the transition can be overwhelming and you could be suffering from PTSD (post-traumatic student disorder). The point? 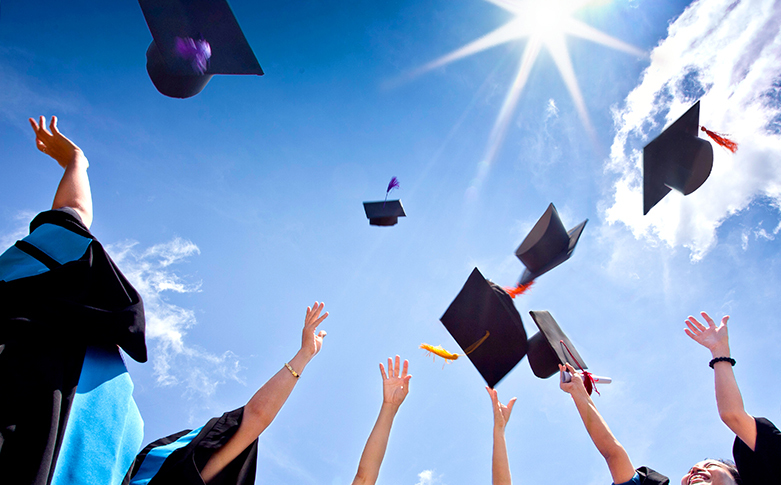 No matter how you choose to celebrate graduation, just make sure you do. It has taken a lot of time, effort and awkward moments with a mannequin to get you where you are today—embrace the feeling of being on top of the world before live patients start to vomit on you. Oh, and congrats and stuff! We always knew (78 percent of the time) that you’d make it!